ALL STUDENTS GET A BUY ONE, GET ONE FREE AT CHIPOTLE THIS SATURDAY, AUGUST 18, 2018. BUY-ONE/GET-ONE FREE includes burrito, bowl, salad, order of tacos or kid’s meal. 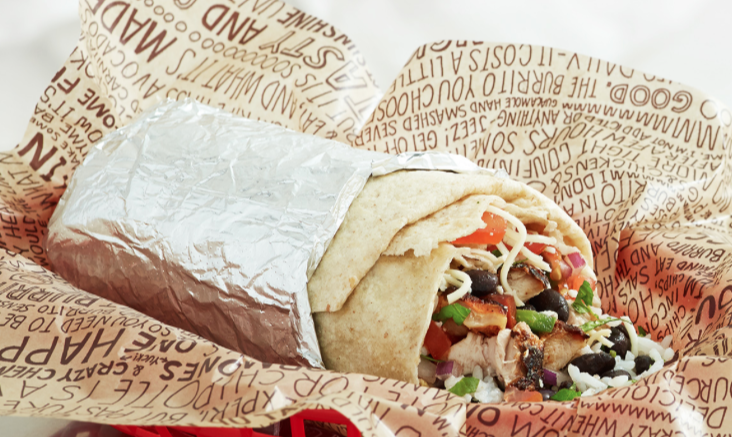 To redeem at Chipotle, just tell your cashier you’re a student. Find locations HERE. Limit one free item per customer; redemption is subject to availability. May not be used with other coupons, promotions, or special offers. This entry was posted in Freebies, Kids. Bookmark the permalink.